We are so proud of Jasher, who came and spent 10 days with us under the STORM program. He didn’t know us prior to coming (and vice versa) but he displayed courage in his first community development trip. Here’s what he has to say about his experience. With a gap year installed for me after my A-levels, I knew I had plenty of time to go out, explore and see what the world had to offer. My thoughts jumped straight to the idea of travelling to a foreign land on my own and just snapping moments along my journey (Yes, I’m very interested in photography). But I thought to myself that the whole idea was too general, that it wouldn’t be as beneficial to me as it should be. So I figured the best excuse was to join a community service project based outside of Malaysia, and that was when I heard about STORM from a college mate. My whole intention was still to travel on my own. But God had different plans for me. I was in Cambodia for 15 days, and I spent 10 days as a STORMer. Throughout these 10 days, I was given tasks that I never thought I could’ve pulled off which includes teaching English, sharing a testimony/message, planning activities and taking charge of a Sunday school class in the village church. These responsibilities might seem like a piece of cake to many, but to me it was nerve-wracking. When Terence and Deb told me about these plans, I was rather surprised. We have never seen each other face-to-face, we only communicated via e-mail and once through the phone after I landed in Siem Reap yet still they gave me the responsibility of educating the people of Cambodia. At times, even without supervision. But it was all for a good cause and it meant that they trusted me. I wouldn’t have learned as much as I have if I was not challenged to come out of my comfort zone. These are few of the life lessons that I’ve picked up throughout the duration of STORM. 1. To always be grateful for the simple pleasures of life. Cambodia is home to some of the poorest people on the planet and I’m not kidding when I say ‘poor’. I had the privilege to visit one of the villages during my stay to carry out some teaching. The village is extremely rural and is only accessible by motorbike. Surrounded by acres of dusty farmlands, these villagers rely on agriculture as their primary source of income. Their only source of water is from a nearby pump, presumably the only pump in the entire village and the villagers have to go to and fro to collect their water with buckets. Their ‘school’ is just four brick walls with an opening as the entrance and a zinc rooftop as shelter. No fans too, only the gentle breeze to spare us from the sweltering Cambodian heat. The kids I was teaching wore tattered and worn-out clothes and most of them were barefooted. Not to mention, there were flies buzzing around constantly and trash everywhere. Hygiene was definitely a major issue here. This got me reflecting about home and the many comforts I have. What do I have to complain about? 2. Not to take education for granted. I’ve probably heard far too many times about how education is vital from teachers, adults and parents alike. I do acknowledge it, but after my experience in Battambang, I have a whole new perspective on education altogether and how it could impact one’s life. Seeing the living conditions of most of the locals really do breaks my heart. So much so what the young ones have to go through each day. The only solution to the problem is education. Education is extremely scarce in Cambodia as most can’t afford it. I had the responsibility of teaching the kids English in Puk Chmaa school for four straight days and what joy they were! These kids were some of the most obedient I’ve ever seen and a major encouragement is that they are always willing to learn. They’re extremely appreciative and constantly full of love for their teachers. But what’s tragic is that I came to learn from one of the teachers that more than 50% of the graduates do not continue their studies, instead they would help out their parents in the farm. I wouldn’t blame them as poverty is at large there. As for myself, I’ve just realized how fortunate I am to have direct access to education itself. 3. I’m well able to do it. I have to admit, I wasn’t very fond of my responsibilities. Teaching, or even speaking has never been my forte and there I was, asked to teach English to kids that can’t even make up a proper sentence yet. To make matters worse, I had to teach at LOHI (Legacy of Hope International) which was a proper English education centre that people actually pay to enter. I have had my fair share of insecurities as well, especially when it comes to teaching the older bunch. I constantly asked myself, “Am I good enough?”. But throughout those 10 days, I’ve learned to rely on God more than my own capabilities and I do believe I “survived” because of Him. This lead to me discovering a confidence I never knew I had, a confidence in myself and God. I may know what the Bible says in Philippians 4:13 but living by it is a different story altogether. And this whole experience has shown me that I can do it through Him who strengthens me. During the first few days of STORM, I felt like I was obliged to the do the duties I was given. I was merely doing it because it was part of the program. But as each day passed, I learned more about the issues at hand in Cambodia and of course, their brutal past. 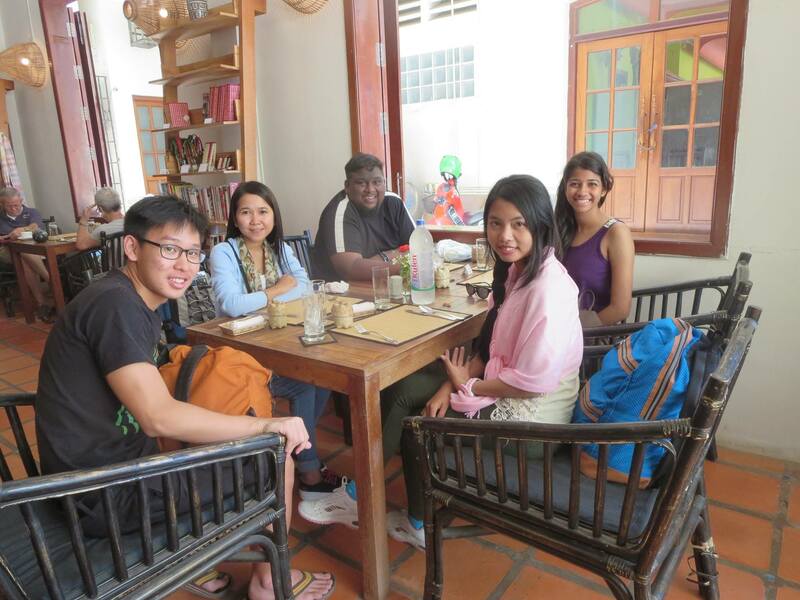 I started falling in love with the community and the Khmer people in general. These are people who have endured so much, in the past and present but wouldn’t hesitate to flash a smile at you. I felt that when I incorporate this newfound love into my teaching, I performed better. But what really impacted me is that this so called new revelation should not only be practiced in a worldly context. It is something that I, as a Christian am ordained to do daily. To know him, is to love. Basically, STORM has been life-changing. Life can be so much more exciting if we would dare step out of our comfort zones and be prepared to accept change. I want to end my testimonial by saying a big thank you to my parents, Terence and Deb, God, and surely Cambodia, you were beautiful.